Apparently, North Americans prefer pink over white or silver. Want one of those fancy white 3DS XLs that are so popular in Japan? Well if you live in North America, bugger you, because you're not getting one. As is traditional for Nintendo, the company's latest handheld comes in a wide variety of eye-catching colors (or not-colors like white) in Japan, while North American customers get a far smaller selection. No white, no silver, it turns out North Americans just don't like those colors enough for them to be included as standard SKUs. "So instead of approaching this lighter-colored product as a mass [product], we're going to look at the opportunity on a much more limited basis," Nintendo of America boss, Reggie Fils-Aime, told IGN. 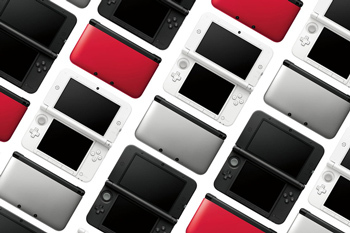 "You might see a limited-time offer with a white or silver 3DS XL, or we might colorize it slightly differently. But in terms of an ongoing SKU, the consumer has responded in our marketplace and said that, for a handheld gaming device from Nintendo, that kind of white or silver doesn't sell nearly as well as blue or red or even pink." Which is odd, given that the Wii, which I'll remind you is one of Nintendo's most successful consoles to date, was originally sold in one color configuration, institution white. Eventually, after years of begging and pleading from customers, Nintendo released variants in red, blue and black. The implication that we might see more special edition variants is pleasing, especially if more of the Japan-only models start making it over to the West. 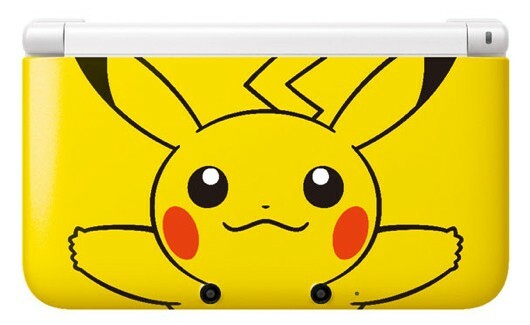 I'm looking at you, hideous-yet-somehow-awesome Pikachu 3DS XL.